With the story of King Arthur, his Knights and that very famous “Round Table” it’s exceedingly hard to separate mystery, myth and legend from the few known facts that are available. 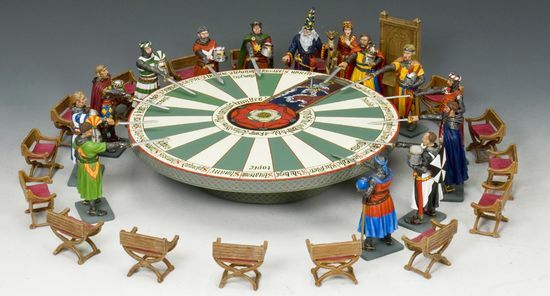 This release comprises the first three knights and King Arthur himself...the magnificent table and the King’s chair as well as a set of 11 individual chairs that surround the table. Released June 2015! Limited Release!